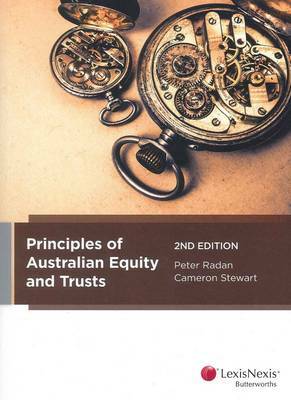 This text provides a clear and accessible discussion of the history, principles and rules of equity and trusts in Australia. It is designed to equip students with the skills to analyse fact situations and correctly identify the relevant principles that are applicable to the resolution of problems. Written with a high level of clarity this is an ideal text for students new to the study of equity and trusts. A complementary Casebook is also available separately.